Meals on Wheels began in 1965 after an outreach program at the First Presbyterian Church conducted a survey which revealed there was a need for a home delivered meal program. 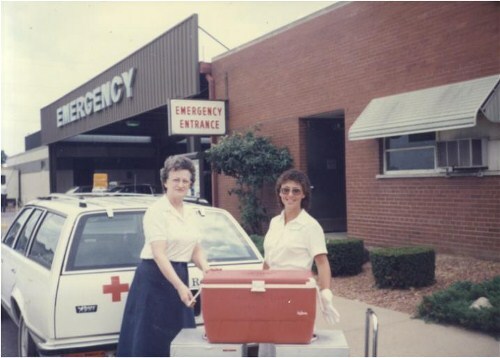 Using vehicles from the Red Cross and volunteers from Trinity United Methodist Church, a program was born. There were four meals delivered on that first day in 1965. In 1967, the Vanderburgh County Medical Auxiliary partnered with Meals on Wheels to provide both volunteers and financial support. Many in the community participated in the early days of Meals on Wheels and we continue to be a community based service provider. Today we are operating five routes, delivering between 100-120 meals each day. The need continues to exist for service to the homebound of our community. This program allows many to remain in their own homes, living independently for a longer period of time.